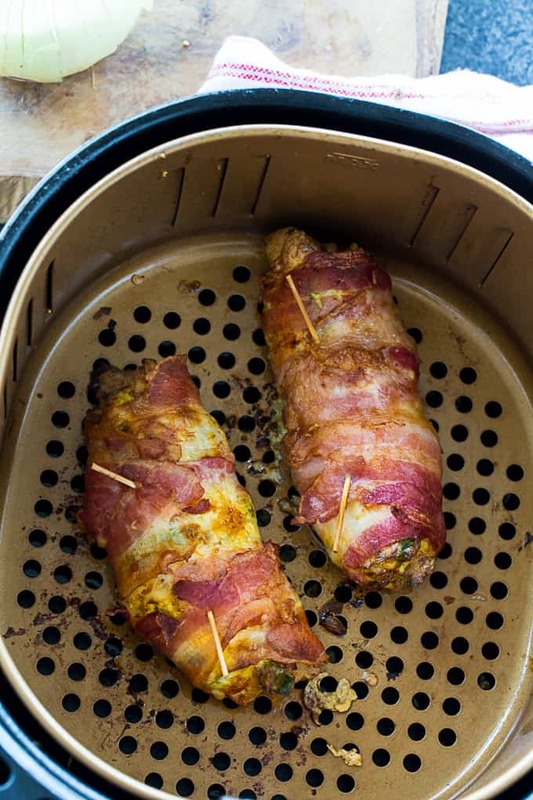 Air Fryer Low Carb Bacon, Egg, and Cheese Roll-Ups are the ultimate keto breakfast. 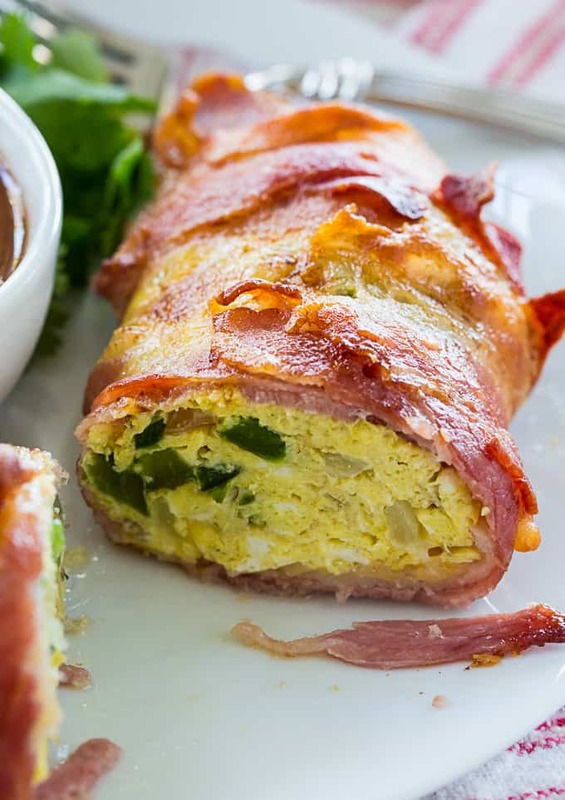 Scrambled eggs and cheese are rolled up in bacon slices and then air fried until the bacon gets crispy. Serve with a little salsa for an unbelievably delicious way to start your day with a lot of protein. There’s also a little bit of sauteed onion and pepper mixed into the scrambled eggs. This is one of my absolute favorite breakfasts to eat on a low carb diet. It’s both paleo and keto-friendly. 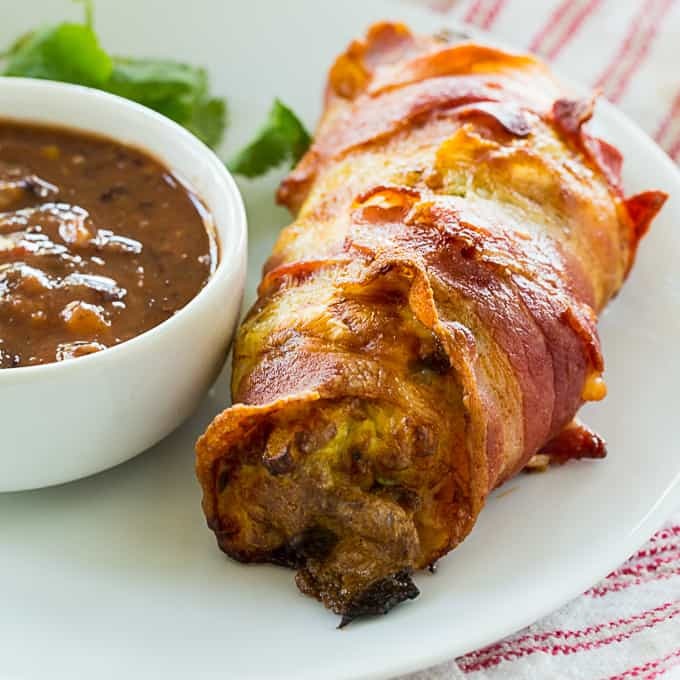 You won’t miss your southern bacon, egg, and cheese biscuits with these delicious Air Fryer Low Carb Bacon, Egg, and Cheese Roll-Ups. I love using my Air Fryer for making low carb meals. It gets things so wonderfully crispy without the use of oil. I use both the Power Air Fryer XL and the Ninja Air Fryer. Do not use thick-cut bacon. It will take too long to cook. Undercook the scrambled eggs slightly to prevent them from overcooking in the Air Fryer. Cooking times can vary greatly from Air Fryer to Air Fryer. Take several quick peaks at the roll-ups during the cooking time to check. It really doesn’t slow down the cooking time much. Air Fryer Low Carb Bacon, Egg, and Cheese Roll-Ups are the ultimate keto breakfast. 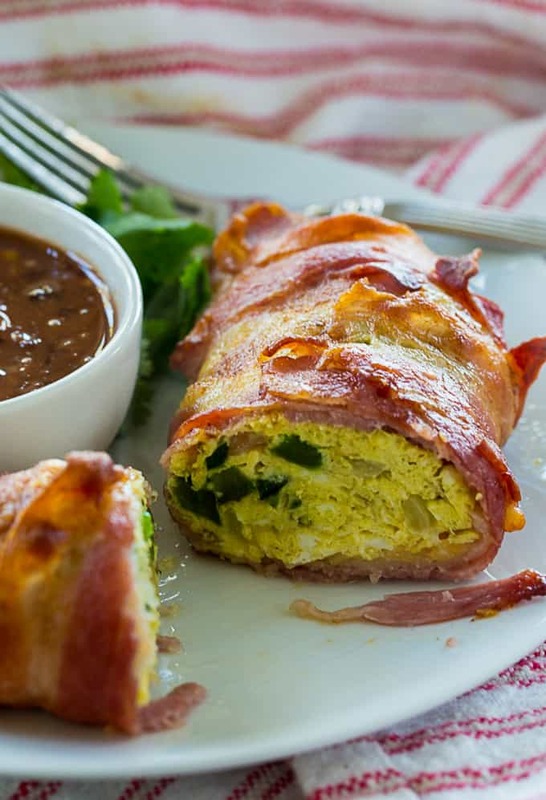 Scrambled eggs and cheese are rolled up in bacon slices and then air fried until the bacon gets crispy. Melt butter in a medium nonstick skillet over medium heat. Add onion and peppers and cook 3 minutes to soften. Whisk eggs and season with salt and pepper. Add to pan with onion and peppers and scramble. Remove pan from the heat while eggs are still a little undercooked. You need them cooked enough to hold theie form, but they will finish cooking in the air fryer. Place 3 slices of bacon side by side. Place half of the scrambled egg mixture towards the end nearest you. Place half the cheddar on top of the eggs. Roll bacon around eggs and secure with a toothpick. Repeat with remaining bacon and eggs. Place in air fryer basket. Set temperature to 350 degrees for 15 minutes. Flip over half-way through.